Serotonin, known as the "happiness" neurotransmitter, is a chemical found in the body responsible for feelings of well-being. 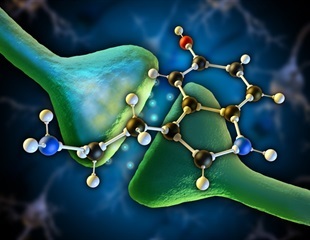 But serotonin isn't the only chemical that binds to the 13 serotonin receptors found on the surface of cells. Far from it. Many approved drugs also bind to serotonin receptors. For medicinal chemists, making tweaks to peptide structures is key to developing new drug candidates. Now, researchers have demonstrated that two iron-containing small-molecule catalysts can help turn certain types of amino acids -- the building blocks of peptides and proteins -- into an array of potential new forms, even when part of a larger peptide, while preserving a crucial aspect of their chemistry: chirality, or "handedness." Tianyin Pharmaceutical Inc., a pharmaceutical company that specializes in the patented biopharmaceutical, modernized traditional Chinese medicine (mTCM), branded generics and active pharmaceutical ingredients (API) released unaudited preliminary financial results for the first quarter of fiscal year 2015. While working out the structure of a cell-killing protein produced by some strains of the bacterium Enterococcus faecalis, researchers stumbled on a bit of unusual biochemistry. They found that a single enzyme helps form distinctly different, three-dimensional ring structures in the protein, one of which had never been observed before. Sigma-Aldrich Corporation today announced that its custom manufacturing and services business unit, SAFC, will consolidate its global chiral chromatography screening and small scale purification operations and locate them at its Pharmorphix Solid State Research Laboratories in Cambridge, UK, to support its new integrated chiral chemistry offer. A method for the analysis of flavanols in cocoa has been developed by a team of researchers from Mars Botanical, a scientific division of Mars, Incorporated, and recently published in the Journal of AOAC International. Many drugs are based on natural substances. Because it is usually difficult, if not impossible, to isolate these in sufficient quantities from plants or microorganisms, they must be synthesized in the laboratory. This requires linking carbon atoms – with the right spatial orientation (stereochemistry) relative to each other. In the journal Angewandte Chemie, E. Peter Kündig and a team from the University of Geneva (Switzerland) have now introduced a palladium-catalyzed synthesis that allows them to produce indoline derivatives with the correct spatial arrangement. NJIT Research Professor Mike Jaffe's recent book chapter about sugar-based chemicals is topping the American Chemical Society (ACS) book series' must-read list. SAFC Pharma®, a business segment of SAFC®, a member of the Sigma-Aldrich® Group, today announced that its Pharmorphix® Solid State Research Laboratories in Cambridge, UK, have installed a new single crystal X-ray diffraction system. The Oxford Diffraction SuperNova(TM) system, which can determine the crystal structures from the most challenging crystal samples, is the first industrial installation of this state-of-the-art instrumentation anywhere in the world.